The folks at Bambara (202 S. Main, 801-363-5454) restaurant in the Hotel Monaco frequently partner with Broadway Across America, featuring specialty dishes and/or cocktails in conjunction with performances at the Capitol Theatre. 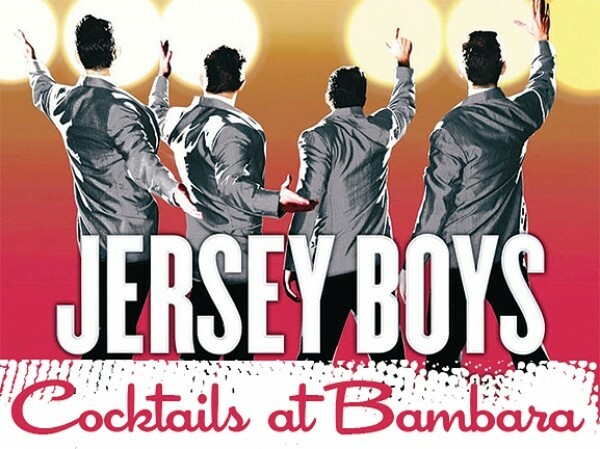 During the run of Jersey Boys—June 4 through 16—Bambara will offer four new custom cocktails named for tunes featured in the musical. “To pay homage to Frankie Valli & The Four Seasons, we had a lot of fun pairing our new summer cocktail menu with our favorite songs,” says Bambara manager Guy Wheelwright. “We suspect, and hope, it will lead to random bouts of singing in our bar.” Jersey Boys cocktails include Oh What a Night!, Walk Like a Man, Big Girls Don’t Cry and Can’t Take My Eyes Off You. Visit Bambara-SLC.com for more information. If there’s a reason to visit St. George, it’s to indulge in the accommodations and amenities of Red Mountain Resort. Red Mountain has announced the hiring of a new executive sous chef, Shelly Pulcini-Corso, who previously worked as the chef de cuisine of Canyon Ranch Spa Club in Las Vegas. You can bet the Connecticut native’s expertise in Italian cuisine—she’s of Italian descent herself—will find its way onto the new menus at Red Mountain’s Canyon Breeze restaurant. And, you’ll be able to watch her cook via the restaurant’s demonstration kitchen. By the way, Red Mountain Resort garnered a Travel & Leisure World’s Best Award for No. 1 Top Destination Spa in 2012. Visit RedMountainResort.com for more information. I was saddened to hear that Park City’s No Place Like Home (1685 Bonanza Drive, 435-649-9700) is closing. I’ve turned to No Place Like Home many times through the past 20 years for kitchen tools, chef’s knives, pots and pans and more. However, high overhead costs and competition from Internet retailers and discount stores have forced No Place Like Home to close its doors. During the store’s final weeks of operation, everything is 30 percent off, with further markdowns to come.